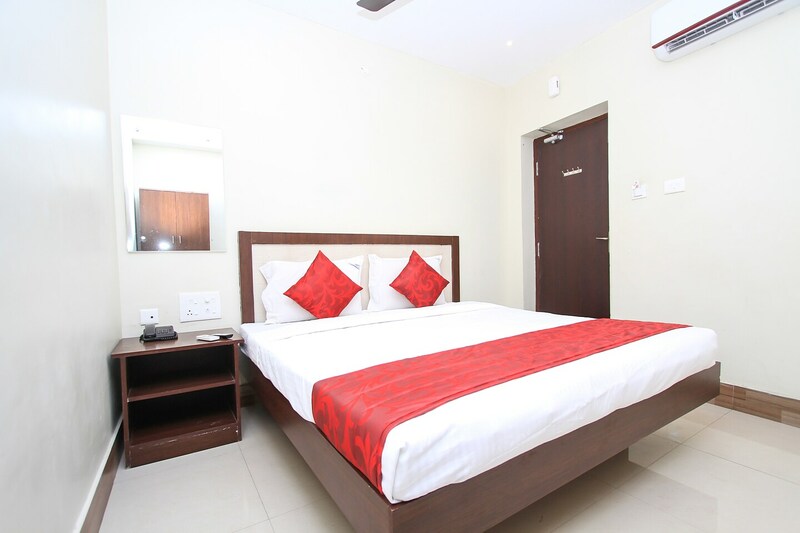 Hotel Chakkaravarthi is a pleasantly-furnished property with different categories of well-appointed rooms. All the rooms are comfortable and come with an attached bathroom with a bathtub or shower and free toiletries. It is a feasible choice if you are traveling with family as some of the rooms include a queen-sized double bed along with a single bed. There are a plenty of restaurants, cafesand eateries near the hotel, offering the guests several dining options. The hotel also offers complimentary vegetarian breakfast to its guests. Besides, there is also an in-house restaurant, serving good quality food to the guests.